Dr. Rafi Muhammad Chauhdary is renowned for his research in Gamma and Beta decay. He also researched in artificial disintegration of atomic nucleus and positive ions. During installation of PARR-I reactor, he was a part of Dr Abdus Salam’s team, and later established the first nuclear pile PAAR-II reactor at PINSTECH. Establishment of High Tension Laboratory was also possible because of him. Dr. Rafi calculated heavier particles emitted from alpha decay and its extension to cluster decay. His team also produced the first batch of radio isotopes at PINSTECH. Dr. Rafi completed his early education in Rohtak, India, and then went to Aligarh University for chemical engineering. Later, he switched to thermodynamics and multivariable calculus. He did his B.Sc and M.Sc in Experimental Physics. He also has, to his credit, a D.Phil Degree with the renowned Earnest Rutherford as his advisor. 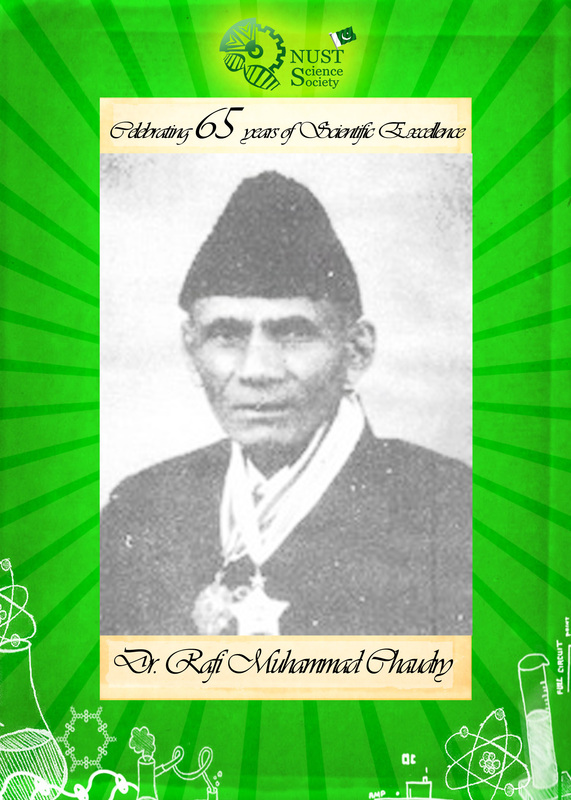 In 1935, he became the chairman of department of Physics at Islamia College, Lahore and head of department of Physics at Aligarh Muslim University in 1938. He served as the director of High Tension Laboratory and first director of PINSTECH. He also served as an honorary professor at Punjab University. He was honoured with Hilal-e-Imtiaz in 2004, Nishan-e-Imtiaz in 1998, Sitara-e-Imtiaz in 1965 and Sitara-e-Khidmat in 1954 for his various contributions to science and technology in Pakistan. Dr. Chauhdary died peaceful at the age of 85 in Lahore.